Microsoft has made enormous investments in cloud based solutions and continues to drive companies towards Office365 and Azure. As such the question of whether to utilize on premise technology or move to the cloud is becoming ever more prevalent within organizations of all sizes and this decision comes with a potentially substantial impact. 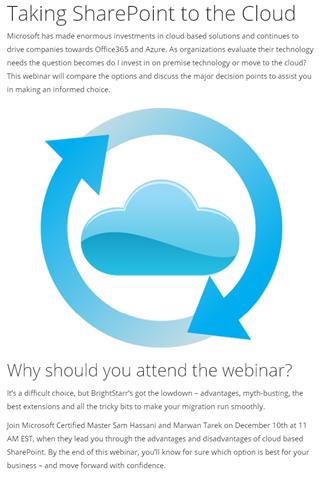 It is a difficult choice and with this in mind BrightStarr will be hosting a webinar tackling the various implications of these two options – advantages, myth-busting, the best extensions and all the tricky bits to make your migration run smoothly. 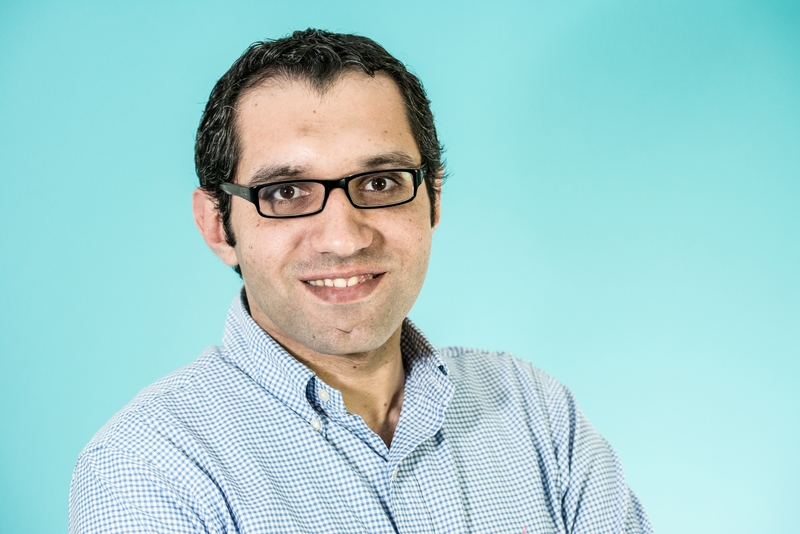 We invite you to join Microsoft Certified Master Sam Hassani and Microsoft Most Valuable Professional Marwan Tarek on December 10th at 11 AM EST to gain BrightStarr’s insight into the advantages and disadvantages of cloud based SharePoint, focusing on major decision points in order to assist you in making the right choice for your organization’s needs. By the end of this webinar you’ll know for sure which option is best for your business enabling you to move forward with confidence. Used pervasively throughout the platform: search is used in different features, content roll up, analytics, content query…etc. 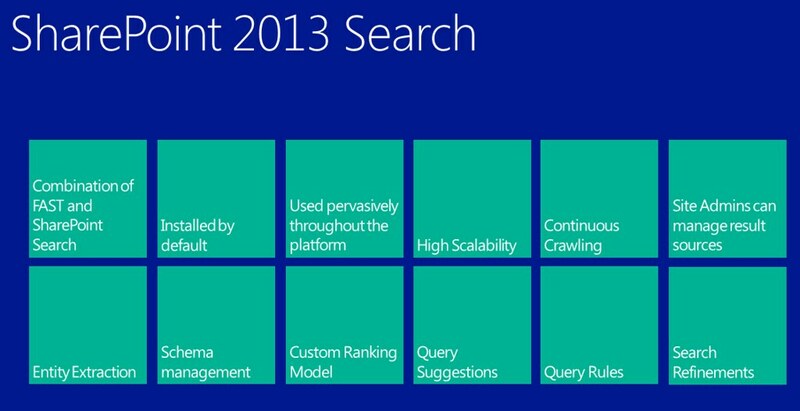 Schema management: schema is the columns you want to expose managed properties in the search. schema can be managed by the site administrators. Custom Ranking Model: in SharePoint 2013 you can define custom ranking model for your search results through Powershell commands. Query Rules: you can define rules for each query based on keywords or who is searching and based on this you can start different queries or change the original query. Search Refinements: you can easily define search refinements through managed data through marking the term as available for refinement.